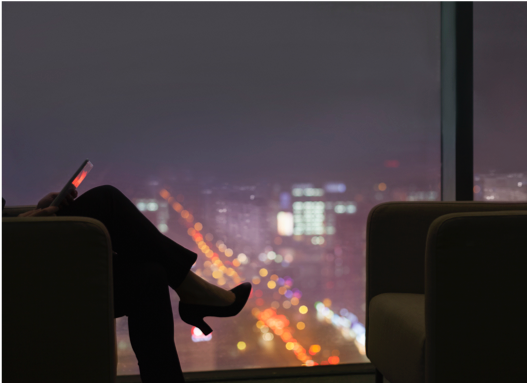 As distribution technology continues to enable a more guest-centric approach to hotel businesses, seeing our guests and guest groups as unique audiences of one has become essential. This makes logical sense. After all, the human need to feel special is certainly well-documented, even as it applies to hospitality spending habits. According to the most recent major Gallup study on hotel guest engagement, those fully-engaged spent $588 per visit compared with $403 per visit for actively-disengaged guests—a difference of $185. But what does fully-engaged mean? You guessed it. According to the study, it means how special, how unique each guest perceived their overall treatment to be. Considering that your hotel website and booking experience is most often your first point of contact with a guest, and how you present and handle your rate strategies is entrenched in that contact, it would seem helpful to look at some of the more effective techniques available today to start attracting—and converting—more guests in more booking situations unique to them. The main idea behind the blending of rates is to give properties control to link rates to an existing rate code in an effort to curb booking abandonment. This technique can be particularly useful in catering to unique needs. Currently, in order to provide a price and an availability response, we use the triad of room/rate/date. It's through the sweet spot within these three aspects that hoteliers and revenue managers price and forecast. However, these components can also create some problematic side-effects. They tend to hide true availability for a property, creating a confusing game of hide-and-seek for the guest. This is because every time a booking period is not available because of a single aspect in the itinerary, the guest ends up seeing a frustrating message like "promo not available" or "date range not available." And we all know that frustrating a guest is never good. 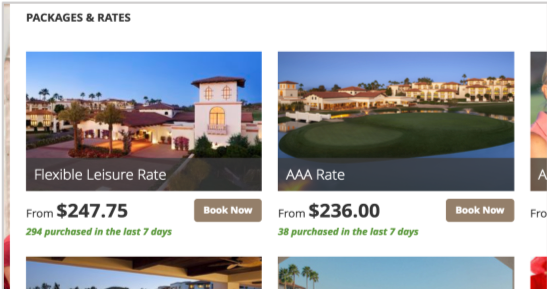 But by using a booking engine geared to the technique of blended rates, you can begin filling the gaps between rates with a master rate, so guests can continue to book on their preferred stay dates, with all of this blending done behind the scenes. Invisible and seamless to the guest, their experience is not interrupted. Any promotion is simply blended into their selection to create one rate for the entire stay, allowing rate managers to create not only a more positive response, but one that reflects true room availability. When it comes to providing more unique hotel room rates, curating can be another great way to go. It refers to the request and response interaction that happens to your guests when they come into your online booking experience; they give you information about their travel search, and you show them content relevant to them curated from that information. Sounds easy, right? But imagine that you have multiple offers for your guests as they search, depending on your revenue strategy, and these offers all have certain discounts off your best available rate. You might even have an advanced purchase rate where they get a different percentage off. And maybe also a discounted rate based on length of stay. Or an email campaign promotion aimed at previous guests for yet another discounted amount. Now imagine that you have a guest for whom all these criteria apply. What happens? Typically, they would end up having to wade through often long lists of available rates, deciding on their own what their best choice might be. As mentioned with blended rates, this puts the burden squarely on the guest, which leads, at best, to frustration, and at worst, to a lost booking. Curating rates, however, removes this burden from your guest by using your technology to loop through all those lists of information, sorting out, and presenting to your guests only those choices most relevant to them. Often explained around the concept of a sell limit, single rates and rate groups are important to understand and use properly when trying to increase bookings. In a single rate or rate group, every rate that is contained within will contribute to reaching a sell limit, which will then shut off that inventory. For example, you might sell ten rooms at a particular rate, or rate group. Whenever you reach the limit on that rate or rate group, inventory is no longer sent out through your distribution channels as it has been exhausted and will stop selling automatically. But if your system does not support both rate and rate groups through automatic sell limits, a common situation, you must set individual sell limits for every rate, sometimes having to close a room too early, often shutting out opportunities unintentionally. To solve this problem, you need technology that can, instead of sending a typical "zero inventory" message, will translate that information into a less problematic "availability restriction" message, which will then lead to chances for alternate bookings. By having such flexible tech at your disposal when selling single rates and rate groups, you can curb the incidence of unintentional automatic stops in your booking strategy, and save more bookings in the long run. In reality, there is a very small window of opportunity to attract, connect, and convert each guest, not to mention the heavy competition from other sites. So, being able to use blending, curating, single rate and rate group techniques to more quickly and accurately present attractive booking options can only serve to reinforce your hotel brand as one that recognizes guests' unique needs-recognition that can only help further cement your rightful place in an increasingly guest-centric landscape.